These are just the loveliest kits, so sweet and friendly. Here are the recorded weights for week seven: 1332g, 1309g, 1239g, 1233g, 1192g, 1160g, 1121g and 995g. Total weight of 9581g (almost 10 kilos). That’s an increase from last week of 1471g. The doe I’m considering keeping is 1239g. This entry was posted in rabbits. Bookmark the permalink. 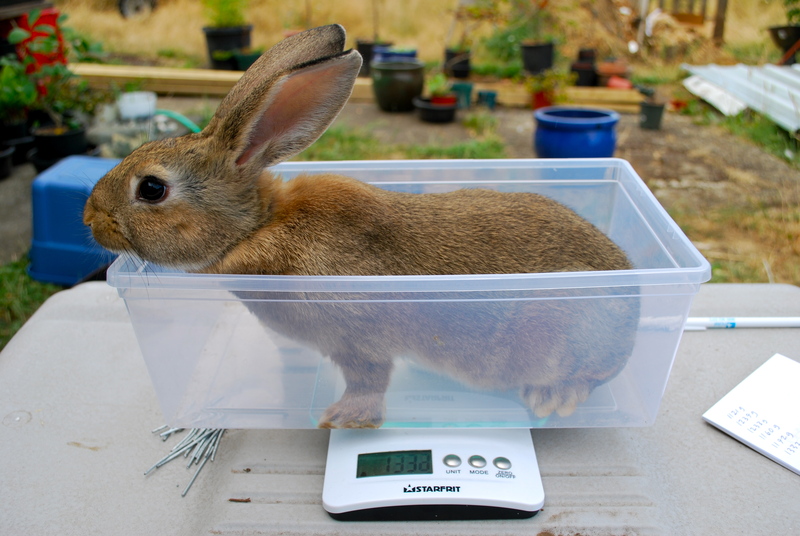 What a cooperative little bunny, just waiting to get weighed.